We thoroughly enjoyed our week at Moore Cottage. It was very comfortable and located in an excellent position for the village, shops, restaurants and pubs, The large Coop store was one of the best supermarkets I have been and was only about a 2 minute walk. This is the fourth Rural Retreats property we have stayed in over the years, and they have all been of an extremely high standard. The beds were very unconfutable far to hard and we came home early due to this problem. small bathroom had no shower mat and was extremely slippery. From the owner - 1) The windows are cleaned on a 6 week contract. 2) Many guests have praised the beds in the past. 3)The complaint about difficult access has been attended to in as much as the tree has been trimmed as much as possible. In a quiet area, as described. Spacious rooms. Clean and well furnished. Excellent, but one comment for improvement/investigation = upon waking, I could hear 'activity' in the loft above our bedroom; I suspect birds nesting, or (hopefully not) mice or larger creatures? Needs checking to see what's living up there. It didn't affect our enjoyment of the holiday, but might create anxiety for some sensitive types! However, we would stay there again. 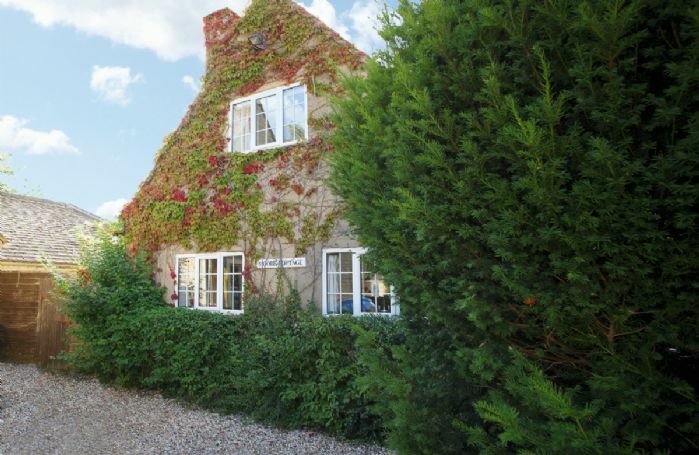 Lovely cottage plenty of room quiet location yet only a couple of minutes from the village. Will book again when we go back to the area. All very good. Lovely place and clean. Our stay at Moore Cottage was wonderful. 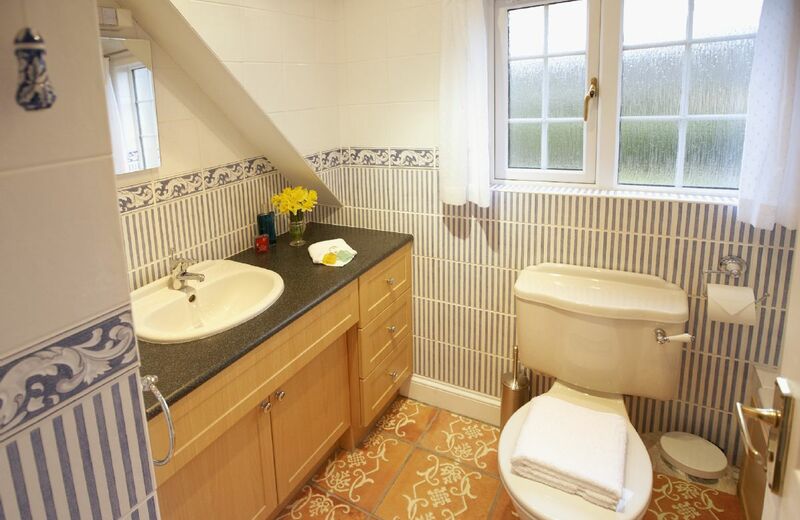 The house is situated two minutes walk from the centre of the village and from a supermarket. There was a delicious and thoughtful welcome package for us on the kitchen table. The house was spacious and beautifully decorated. We had a shared backyard which we used because if the perfect weather. The beds were comfortable and it was spotlessly clean. A perfect place to stay. 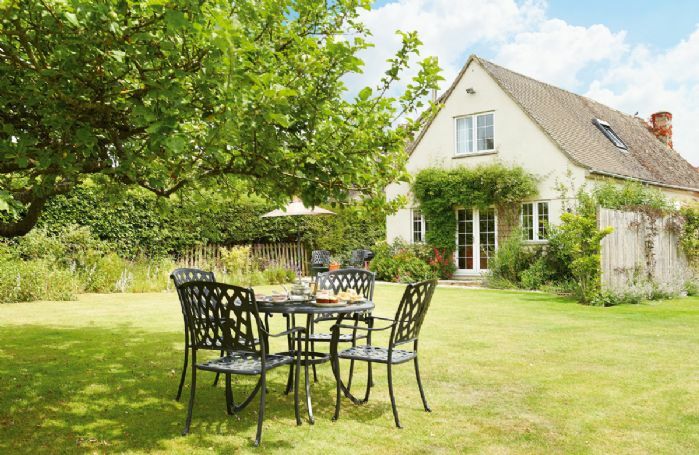 Very dog friendly cottage and large enclosed garden. Great walks from the doorstep and only a couple of minutes walk to the village centre and local amenities. Thoroughly enjoyed our stay and the accommodation had everything we needed for a relaxing break. We enjoy the high standard of the Rural Retreats Cottages and like to use them for our holidays. 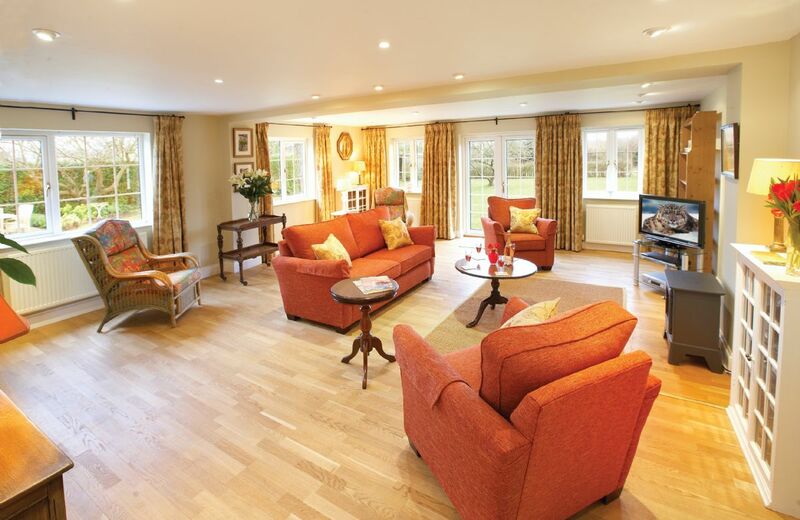 Moore cottage was in a good position in the village and was very spacious downstairs. However we felt it was a little dated also the vegetation was encroaching over the path to the door especially bad when it was wet. More cottage was lovely everything you needed was there fantastic welcome pack well thought out. Just a little thing I think it needs a bigger sign so you can see it from the road max my dog loved playing with Sam. Within walking distance of pubs and shops but peaceful location. Welcome pack was extremely thoughtful and well received! Nice cottage and a lovely garden for our dog Hector. Lovely comfortable bed. David next door was very welcoming and it was lovely for our dog to meet Sam. We did not know about the Co-op being right on our door step and being a 2 minute walk away as we were taking the car to get groceries! It would have been helpful to have a bit more information about the local area and which pubs had a garden (limited I think?) etc. Overall, we thoroughly enjoyed our stay. My cousins and I thoroughly enjoyed our stay in Moore Cottage. The location was excellent - it was only a 5 minute walk to the town centre and quite close to a local Co-op supermarket and a couple of tea shops. Most impressive, delightful and a very thoughtful touch was a hamper that contained not only the usual tea and coffee stuff but had a lot more like bread, jam, butter, fruits and even a bottle of wine! 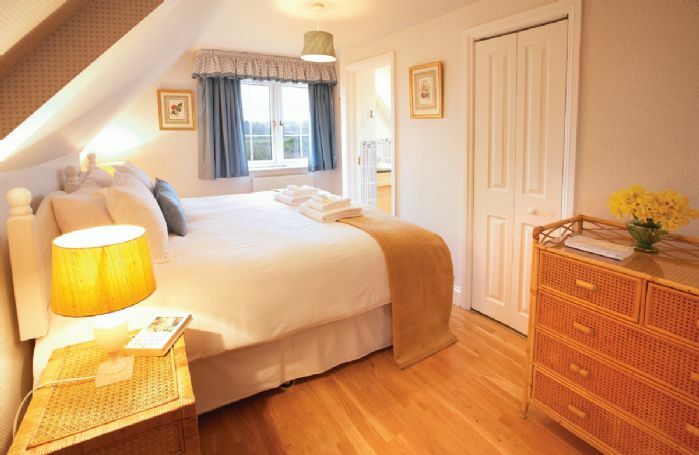 The cottage is very clean with a lovely view of the garden. The only minor suggestion we can mention is the WiFi. Maybe a stronger more efficient WiFi can be put in. But overall, we're very happy with our experience in this property. Moore Cottage is very clean, we'll equipped and comfortable. 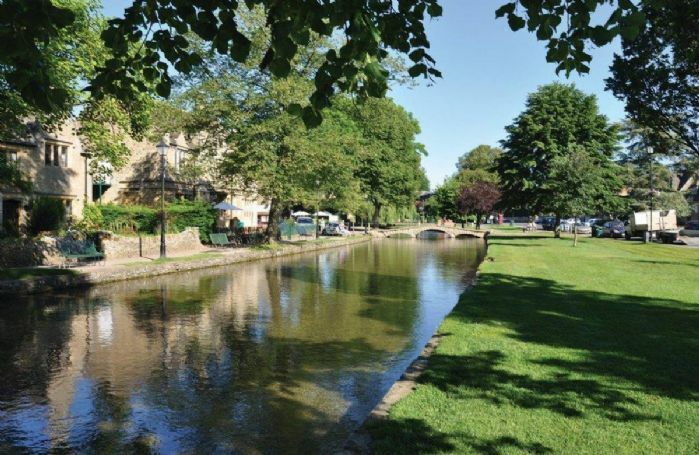 Even though it's in the middle of Bourton-on-the-Water, it's very quiet with a very nice garden and the location is excellent, not only for access to the lovely centre of Bourton but also for access to the rest of the area. We would happily return to Moore Cottage. Fabulous accommodation. Good parking. Owners were helpful without being intrusive. Within easy walking distance of the High Street. Highly recommend. Everything was perfect for our Christmas break at Moore Cottage. 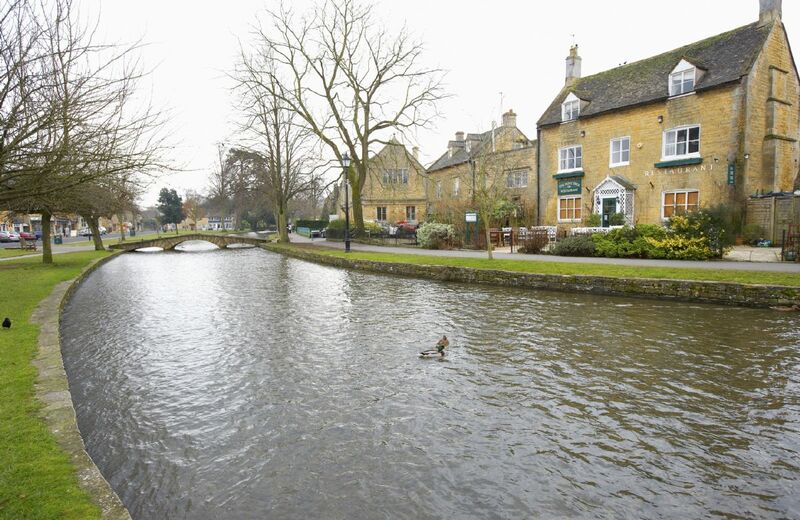 The cottage is in the quiet part of Moore Road and yet in easy walking distance of the lovely town of Bourton on the Water. 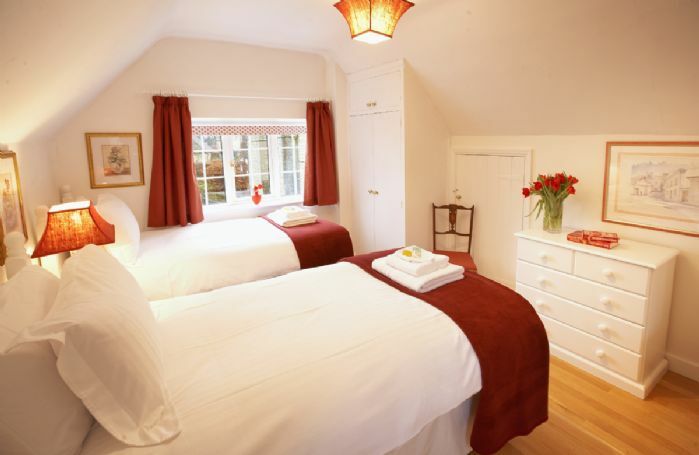 The cottage itself is well maintained and very comfortable. The owners had even put a Christmas tree for us. Would highly recommend this property. A very high standard property. Excellent location. Close to shops and village centre. You don’t need to get back into your car until you leave. Lovely garden (probably sharered). Nit picking: The Property was an annex of the owners house. Could have done with an oven, not just a microwave. Cleaner not so good at cleaning hidden areas eg behind bed. For those who don’t know Bourton it is a beautiful village, but consequently is a very busy tourist trap, especially at weekends. Overall we had a lovely stay, we would recommend the cottage. Moore Cottage is situated in a quiet position next to Moore House, just a two minute walk from the centre of Bourton-on-the-Water which stands on the river Windrush. 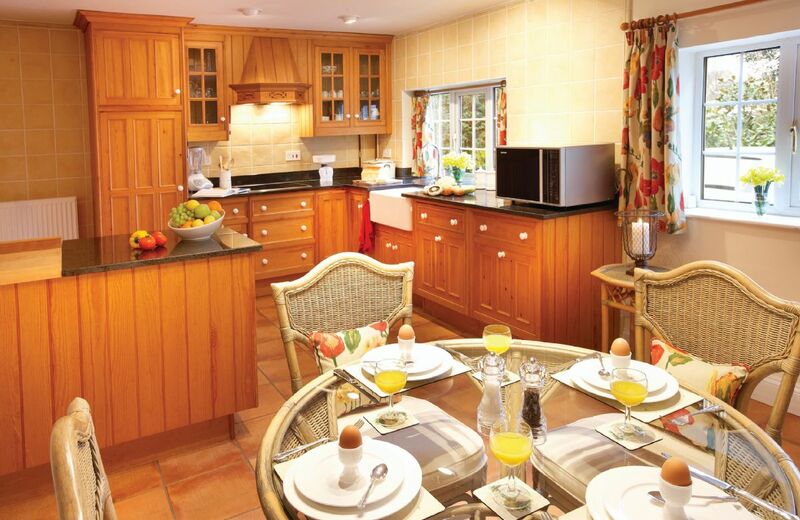 Guests have an excellent choice of restaurants, pubs and shops, all within walking distance. There is also the Model Village, Motor Museum, Bird Sanctuary and Perfumery to visit. For the serious walkers, there is a wide variety of walks in all directions through Upper Slaughter, Lower Slaughter, Upper Rissington and Lower Rissington. 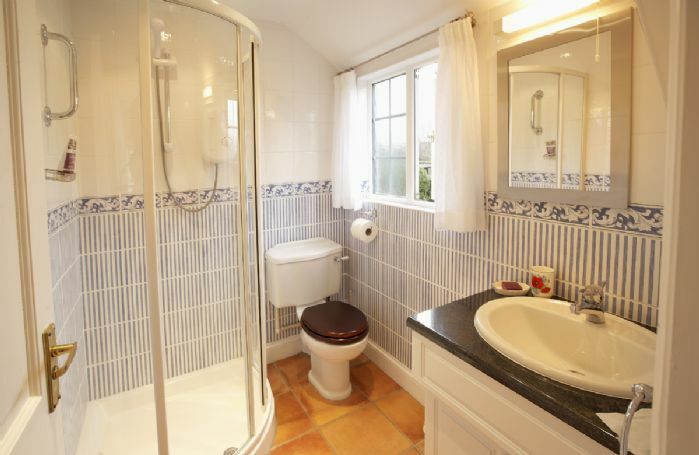 Two bedrooms, one en-suite bathroom and one shower room. Large, shared, fully enclosed, secluded garden. Built in fridge with small freezer compartment, washer/dryer, dishwasher. Ceramic hob, combination microwave/oven (please note, the property does not have a conventional oven). 32" TV with Freeview, video, DVD and CD player. 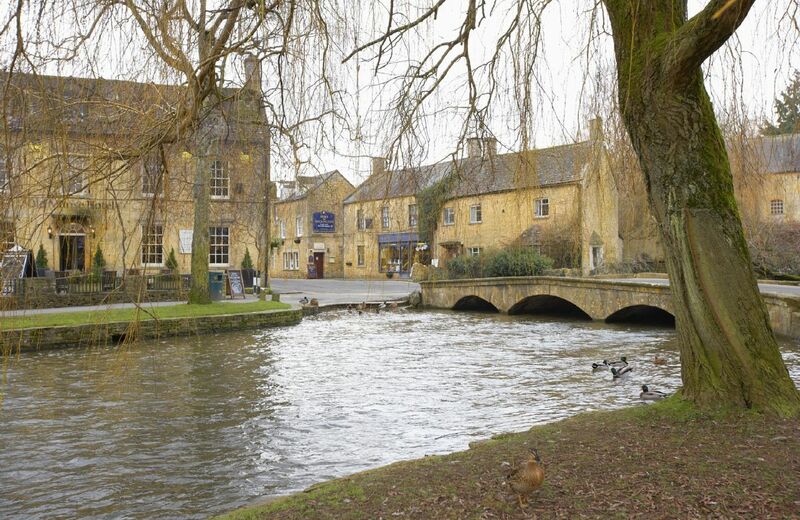 Explore Burford, the Gateway to the Cotswolds or the bustling, market town of Cirencester, the most attractive market town since Roman times. Slightly further afield you can discover Cheltenham, a Spa town with beautiful architecture and a racing history or Stratford-upon-Avon, the birth place of William Shakespeare. Other traditional Cotswold towns are Chipping Norton and Chipping Campden (both Mediaeval market towns) or Broadway, a truly historic town with lovely shops and of course, the Lygon Arms.